Crystal Dreaming™ – a journey that can transform your life…. 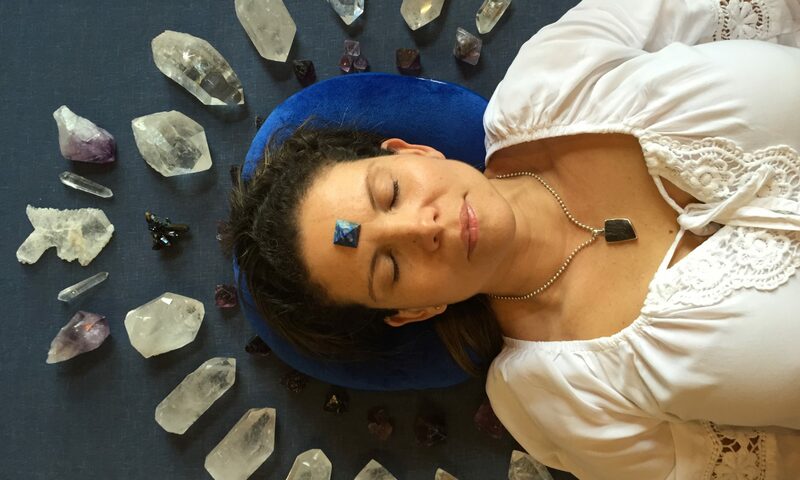 Lying in a unique mandala of crystals your practitioner will facilitate a gentle shift in your consciousness into an expanded state where your Crystal Dreaming inner journey occurs. In this enhanced state of awareness, after clearing all energies not totally aligned with unconditional love, it is possible to experience a state of absolute bliss, where profound emotional, physical and spiritual healing may occur. Crystal Dreaming will locate and dissolve challenges manifesting here and now that have their roots in another time and place, often in past lives and frequently relating to unresolved emotional trauma. Crystal Dreaming will bring clarity of purpose to your life and frequently leads to a blissful reconnection with the Divine. Your unique shamanic journey presents you with a golden opportunity to consciously activate and align with your life plan in a state of perfect harmony with the rest of creation. The results of Crystal Dreaming sessions are profound, permanent and immediate. Crystal Dreaming is a drug-free, non-touch shamanic healing technique developed by Raym Richards over the past 22 years. Raym has personally facilitated over 5,000 healing sessions and with his partner Chicchan, trained over 500 practitioners worldwide. Raym, Byron Bay, Australia. Crystal Master Raym created this process over twenty years ago. 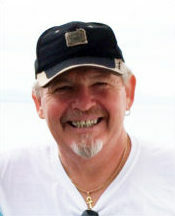 He offers personal sessions in the Byron Hinterland, nationally, internationally and wherever he is teaching. With Chicchan he also guides tours of Sacred Sites and Crop Circles in the UK each year. Founder and teacher of Crystal Dreaming™. 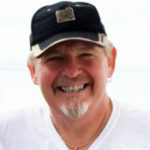 Visit Raym's website or contact him via the form at the bottom of this page..
Chicchan, Byron Bay, Australia. 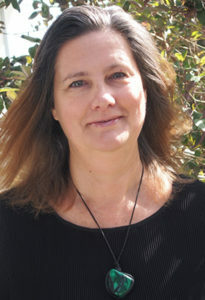 Chicchan developed Crystal Awareness and is a Crystal Dreaming™ teacher and practitioner. 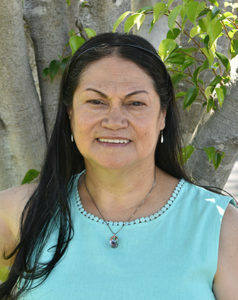 She is also a vibrational sound healer with crystal singing bowls, a Pranic healer, a Tarot reader and a Reiki Master. With Raym she also guides tours of Sacred Sites and Crop Circles in the UK each year. Jude, Rhinebeck, New York, USA. 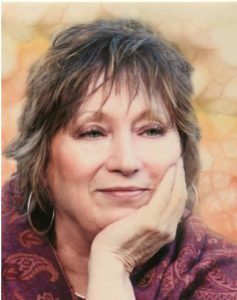 Jude Smith is an Interfaith Minister, spiritual teacher, Ignite your Spirit therapist, and Crystal Dreaming practitioner and licensed teacher. 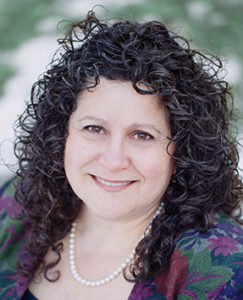 Her private practice focuses on counseling, mentoring and healing. Jude's passion is to lead others to their fullest experience of self-expression and to provide the tools to live from that expanded place. 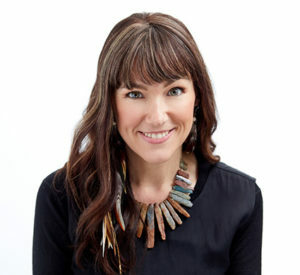 ♥ Jude loves to travel and is available to teach anywhere within the US and Canada with a minimum of three students. Best contact is via email or visit her website. Anika, Byron Bay, NSW. 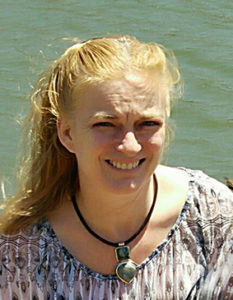 Anika is a multi-talented, highly-skilled and widely-experienced Therapist and Intuitive Healer. 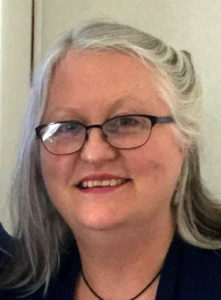 She has been gently assisting people to heal for over 30 years. She enjoys facilitating profound healing for others in a gentle, caring and supportive way; empowering them towards their health and happiness. 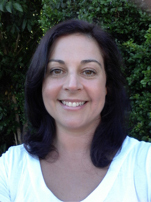 Anika has also been a trainer for over 20 years and enjoys helping others grow. Anika’s passion is finding causes and unblocking them, empowering others, and helping people take back their power and health, especially other healers. Call Anika on 0468 618 288 or visit her website. Email Anika. Mathlini-Rosze Cernigoi – Belgrave and Melbourne. 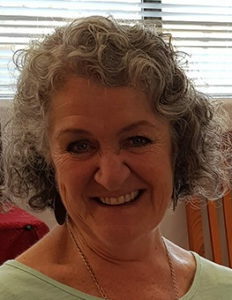 Mathlini-Rosze is also a Crystal Light Healing™ practitioner/teacher, Holistic Counsellor, Clinical Aromatherapist, Reiki Master, Sound Therapist (BAST) and Educator/writer with over 27 years experience in the wellness industry. 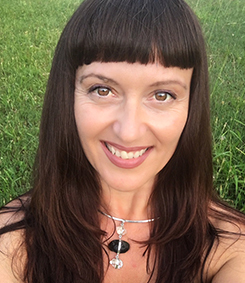 She is owner/operator of Aroma Harmonics, Stone Keepers and Sonic Alchemy in Melbourne, providing clients with individual healing sessions, courses, workshops and products. 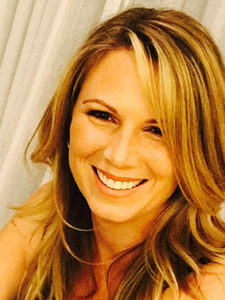 Mathlini-Rosze is a skilled and compassionate facilitator who looks forward to assisting you on your journey to self love and deepest peace, uncovering your true essence and greatest potential. Call Mathlini-Rosze on 0419 875 061, email or visit FB Aroma Harmonics. 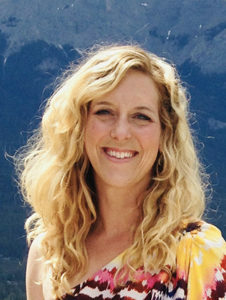 Kristyn Honey, Calgary Alberta, Canada. I have been really moved by Crystal Dreaming and I knew during my training that it was a very advanced modality, allowing one into an elevated state of awareness and self love. My passion is guiding others along their path of self empowerment and inner peace. As a practitioner, I truly honour each soul where they are on their journey and allow the perfection of this healing to be the guide. I look forward to connection and being of service. . Call Kristyn on 1-403-998-5392 or email Krystyn. Irma, Raby, NSW. Crystal Dreaming helps you to release past and present life traumas. It helps you to create a clear path on your present life's journey so that these traumas may never be repeated . Facilitated in a safe and secure environment by Irma, a qualified Crystal Dreaming practitioner, Reiki Master, Crystal Light and Theta Healer. Please call me on 0413 999 539 to experence a life transforming session.. Email Irma. Qualified June 2017. Advanced practitioner. Francesca Abonizzio, Perth, WA. 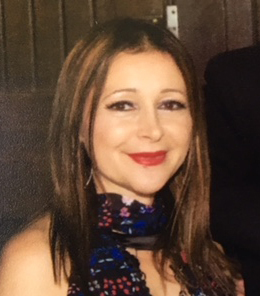 Francesca is a Crystal Dreaming Practitioner who works holistically through her qualified counselling background along with naturopathy and vibrational remedies including: Australian Bush Flowers, The Rose Essences and Liquid Crystals. She comes from a Shamanic family lineage, initiated by her maternal grandmother at the age of 7 into the world of Shamanism. Francesca offers a complimentary follow up appointment after the Crystal Dreaming session to assist in processing and integrating your experience. Call Francesca on 0402 286 176 or email Fancesca. Karen, Mandurah WA. Connect with your Divine Self, deepen your soul wisdom on your Earthly journey. Profound bliss is yours. Call Karen now 0490 899 618 or visit her website or Email Karen. Qualified January 2014. Advanced practitioner. Carlie Eden, Seaforth, NSW. Experience a safe Shamanic journey where Carlie will guide you to release anger, fear, trauma, abuse, unwanted experiences and behaviors. Occasionally this includes past life regression. Your life plan can be activated, new inspiration, enthusiasm and energy is ignited as you connect with your soul's purpose. Call text or email Carlie for questions and bookings 0408 966 401. Email Carlie. Michelle, Yamba, NSW. 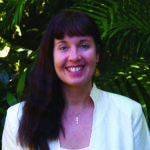 Michelle believes Crystal Dreaming to be the most profound and exciting form of healing that she has experienced. Many clients have experienced life changing directions in their life through the Crystal Dreaming ™ process. It is a form of healing that needs to be experienced to truly understand how powerful it is. She is excited to be offering personal sessions and Crystal Awareness and Crystal Dreaming™ Courses in Yamba and Coff Harbour, NSW , Brisbane and Gold Coast, Qld. Call Michelle now 0429 264 344 or visit her website or Email Michelle. 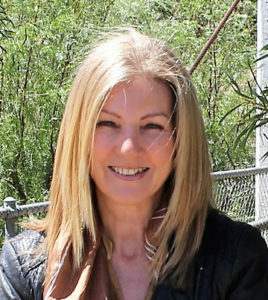 Julie Jenkins, Adelaide, SA. 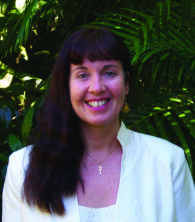 Julie has been involved in healing therapies for over 30 years. As the Principle of Natura Training Institute her passion has been teaching new practitioners in the areas of Reiki, Meditation, Mindfulness, Chakra Balancing and Healing, Life Coaching and Holistic Health & Wellness globally. 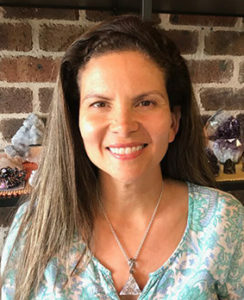 In her own personal practice at her life centre in Adelaide Julie also delves into the wonderful world of Crystal Dreaming, Soul Realignment through the Akashic Records and Aura reading. Call Julie on 0447 685 303 or visit her website. Email Julie. There are over 600 Crystal Dreaming™ practitioners worldwide. If you cannot find a practitioner close to you listed above, search your localty for a certified Crystal Dreaming™ practioner trained by Raym and Chicchan or one of the licensed teachers listed here. The complete Crystal Dreaming practitioner training course is taught over a three day period and is split into a one day stand-alone foundation course - Crystal Awareness and a two day Crystal Dreaming practitioner training course. Usually taught consecutively Crystal Awareness is a compulsory course for all Crystal Dreaming practitioners. To view licenced all teachers details click here. This one day Crystal Awareness course has been developed by Chicchan who works with crystals and vibrational sound healing, with pure quartz crystal singing bowls. It is both a stand-alone course and a compulsory foundation for the next two days of practitioner training. Your licensed course teacher (listed below) has been trained by Chicchan and is a qualified Crystal Awareness and Crystal Dreaming teacher. Understanding crystals and how they affect our energy. Working with crystals for personal growth, healing and balance. Learn how to expand your consciousness and enhance your environment and relationships. Crystal Knowledge. How crystals are formed and types of crystal. Where crystal knowledge comes from. Preparing self and space before using crystals. Selecting, cleansing and programming crystals. .
Types of quartz, rainbows in quartz, sacred geometry, yin and yang quartz, Isis, Dow, window, channelling crystals, double terminators, lasers, record keepers and phantoms. Crystals for meditation, personal crystals, wearing crystals and crystals in the home. The seven major bodily energy centres or chakras, their purpose and how different crystals affect them. Observing and feeling different crystals, using your intuition to sense their purpose. Crystal chakra meditation with crystals and crystal singing bowl music. Use of crystals to ease physical pain, remember dreams, release stress, create peace and harmony, neutralise electronic interference (computers) and much more. This course is a compulsory prerequisite for our Crystal Dreaming™ practitioner course over the following two days. For venue details and course costs contact the teachers listed below. Through over twenty years experience as a shamanic healer with guidance from his own spiritual team, Raym has developed Crystal Dreaming. The process is proven, practical and easy to apply. The results are immediate and frequently life transforming. Crystal Dreaming enables your clients to access the Superconscious experiencing first hand their own Divine Presence and absolute bliss. To view all licenced teachers details click here. Learn how to guide others safely into a deeply altered state, accessing the Superconscious, past, present and future. The laying on of stones is an ancient Healing Art practiced by the Mayans, Ancient Egyptians and Native Americans. New Age philosophy acknowledges the truth of the inter-connectedness of all things, the reality of the Spirit world and the existence of beings in other realities. It perceives the illusion of linear time and space and the truth of our infinite beings. Crystal quartz is silicon dioxide the most common mineral compound on Earth is also found in small quantities throughout our body, hence the affinity or resonance between our own molecular structure and crystals. When crystals are placed on the body the healing process is stimulated from within. By placing crystals around the crown creating a particular pattern or mandala, it is possible to focus Divine Energy, opening the pineal gland and triggering the shift in consciousness of your client into an “altered state.” After clearing negative energy and self healing, it is possible to experience a profound state of oneness and bliss. These advanced techniques enable you to guide your client to a fully conscious reconnection with the never ending now in which our higher selves exist in a state of constant bliss. You may recall ancient past life abilities, clear Karma, open clairvoyance, clairesentience and clairaudience during your session. Crystal Dreaming will bring clarity of purpose to your client by activating their Divine mission, blueprint or life plan. Crystal Dreaming frequently leads to a full embodiment of past life skills and a blissful reconnection with the Divine. One session can achieve this. Through Crystal Dreaming your client may travel into the depths of their being and there find true happiness and peace. Once experienced their life will never be the same again. Doorways previously locked will open - all they need is the courage to step into the unknown and discover the truth and beauty of who they really are. Crystal Dreaming allows you to guide this exploration of the inner plane, with a heightened awareness of reality, in a safe and nurturing environment. The focus of Crystal Dreaming is to empower anyone to diagnose and treat themselves of any imbalance on any level. It will implement positive life changes from knowledge your client has personally received from the spirit realm. You will learn how to assist in releasing any blockages or limitations, cellular memories, past or present life trauma negative energies or entities or any aspect of your clients being that requires more love and understanding. You will assist your client’s entry into a new and wonderful world with love and respect for who your client truly is. There is absolutely nothing to fear in delving into one's inner beingness for there is only truth and radiant beauty to be found there The path that Crystal Dreaming opens will lead your client inward to their source of power. In this course you will learn how to facilitate this transformational journey for others safely, with ease and grace. Crystal Dreaming™ Facilitating an altered state. Using a sacred mandala of crystals placed around the crown, I will teach you how to facilitate a profound journey into oneness and bliss for others, where emotional, physical and spiritual healing may occur, instantly. You will learn how to release all blocks en route to this state, including the release of; cellular memory, emotional blockages, past or present life trauma, negative energy, entities and interference from any other source. After releasing these blockages, your client may meet their higher self, spirit guides, spiritual teachers, Ascended Masters and other highly evolved beings of light. These techniques open all channels to the Spirit world and beyond, facilitating interdimensional travel anywhere in time and space, whilst remaining fully conscious of this reality. I will give you a clear understanding of the Spirit World, a realm that is often misunderstood and in contemporary Western culture rarely explained thoroughly and clearly. We will look at the area that you will be exploring with your clients and the energies and beings you are likely to encounter there, including interdimensionals and extraterrestrials. We will be working from Raym's book “Alchemy of Crystals” a copy of which is included in the course fee. You will give and receive a Crystal Dreaming session during this course, which presumes knowledge of crystals and their properties. Participants must have completed our one day Crystal Awareness course before studying Crystal dreaming.